Professional, Efficient, Innovative, Environmental care. We insists on professional efficiency, innovating customers value to grow together with clients. We always to pursue the excellent design, superior product and best service, is our objective. We will continue to grow and dedicate our long-term research and investment in this field. 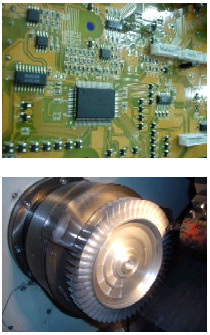 All our products are designed for minimum energy consumption and RoHS compliance. H. S. Machinery Co., Ltd. is the leading company of Industrial Sewing Machine Motors and Industrial Ring Compressors. We specialize in R&D and manufacturing of the AC Servo Motors (BLDCM) and Ring Blowers fitting various applications in automation or pneumatic systems. We own a top-notch and professional operation team, developing innovated management information system, having the excellent electronic, mechanism, microprocessor, and integrated technology of AC servo system. With strict QA system, advanced testing equipment, and delicate inspection instrument which makes us acquired the approvals of ISO 9001, CE, RoHS, CSA, UL and CCC. We have been acclaimed a popular appraisal in the global ODM, OEM market, and enjoying an outstanding image as well as a world-wide reputation. Any customized requirements for special or high-tech design are available. Global service chain of more than 50 offices provides fast and excellent technical support.